Christmas is a time of the year for friends and family, but if you can’t be with your loved ones (or want to surprise them while you are on your way to meet them) technology can help, and in particular video calling apps. We’ve compiled a list of the best video chat apps out there to help you connect with friends and family. Most support iOS and Android devices, but each offers its own strengths and weaknesses — whether that be support for group calling, in-call games or simply allowing video calls over 3G/4G. Most people have a Skype account and the service is available on almost every desktop and mobile platform. From my personal experience, I’ve found Skype’s video call quality to be pretty decent, though there are times when a simple hangup and redial improves the quality immeasurably. Skype was built before everyone owned a smartphone, so the mobile apps are a bit cumbersome, but still a great way to connect. 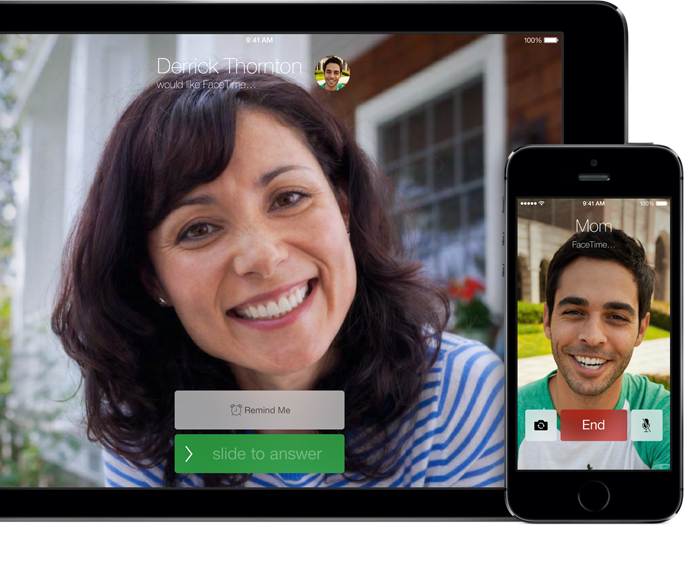 If you own an iPhone, iPad or Mac then FaceTime is an easy way to get a video chat started. 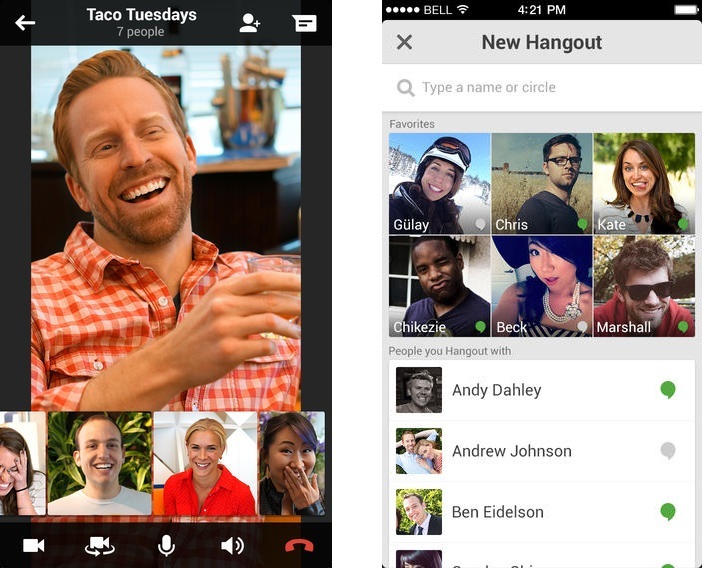 It doesn’t allow multiple person chats, but video and audio quality is usually good. Lack of support for other platforms — and no Web client — limits the usefulness of the service though, particularly as Android and other devices gain increasing marketshare worldwide. 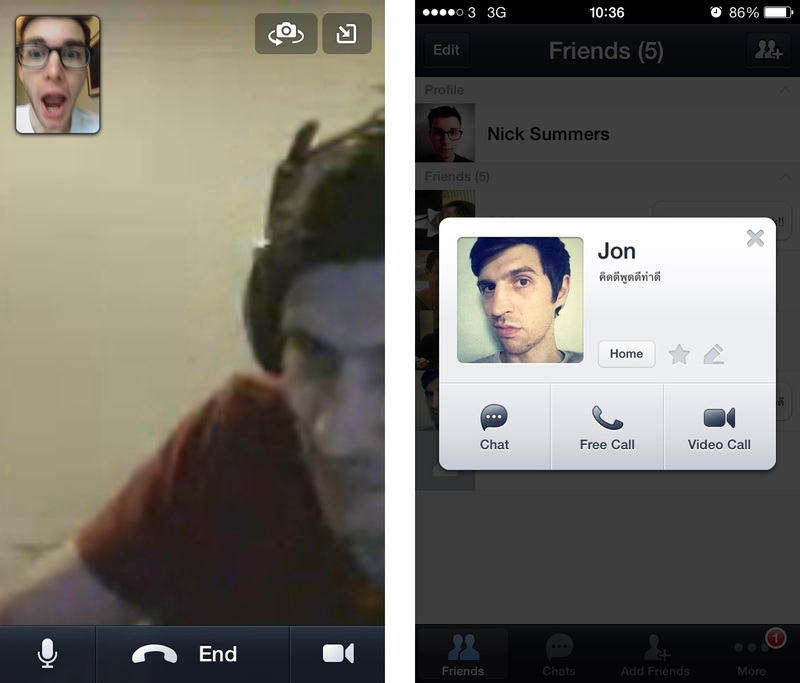 A new service that arrived this year, Spin takes a different position on video chat with its iOS app. The service supports group video chats with up to 10 people, allowing users to share photos, videos and other content to their ‘Gathering’. There are plenty of effects to add a bit of fun to videos, but Spin is interesting for its touch-based system — which lets you increase a person’s volume by expanding their avatar, for example. Like FaceTime, however, it is limited to iPhone and iPad users at this point. Google’s video messaging service has steadily accumulated new features this year — including SMS support — but video Hangouts are the primary reason I use it. With apps for iOS and Android, a Web presence (and even a Chrome extension), Hangouts is available on enough platforms to be of interest to families and friends wanting to connect. The setup for loading Hangouts can be complicated and, personally speaking, I still haven’t got my Dad using Google+, which is a requirement. 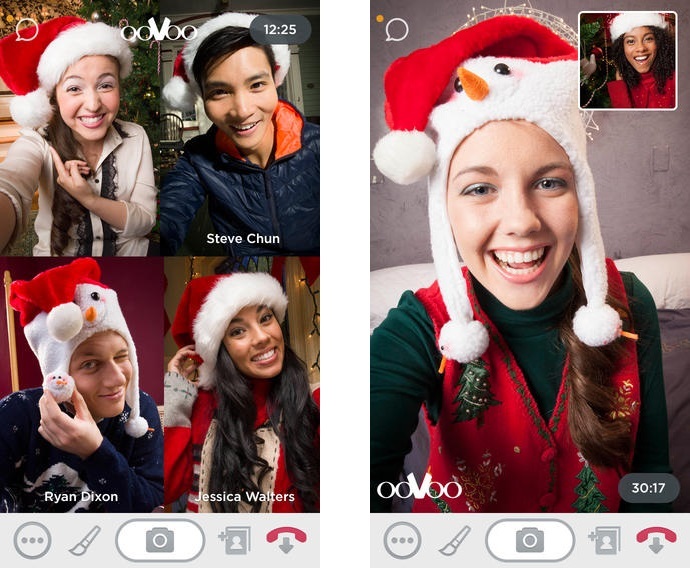 A mobile video chat app for Android, iPhone and iPad, ooVoo lets up to 12 people video chat using a four-way display. Like Spin, it uses a touch-based system that lets you simply tap on friends’ avatars to start a call. One important thing to consider: the app is supported by ads, unless you pay $30 per year (or $3 per month) for the premium version. 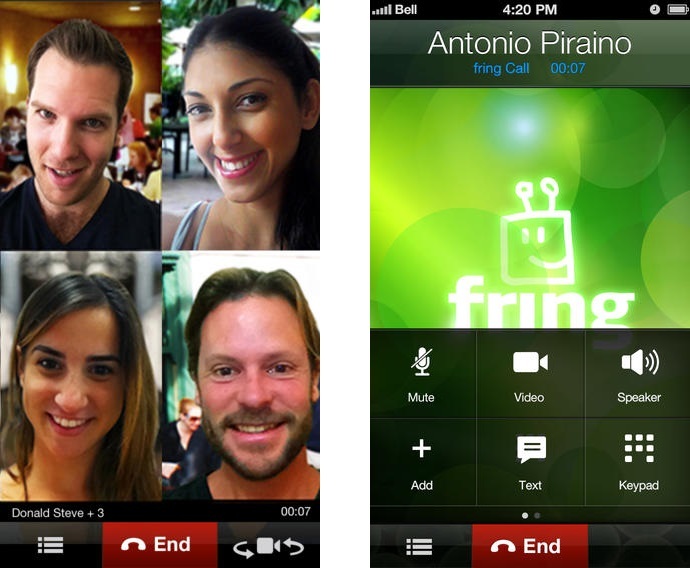 Possibly one of the oldest messaging services out there, Fring supports group video calling between four people, and offers iOS, Android and mobile Web apps. 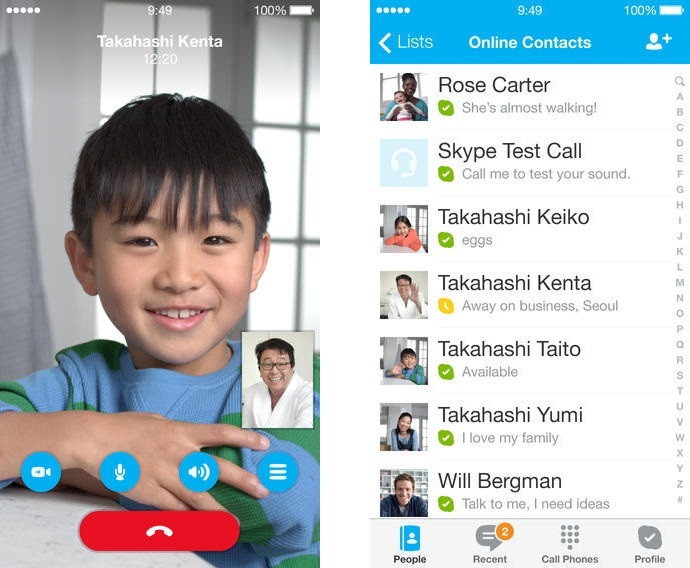 The service can integrate with Skype, and others, and also offers Skypeout-style cheap international calling from mobile. 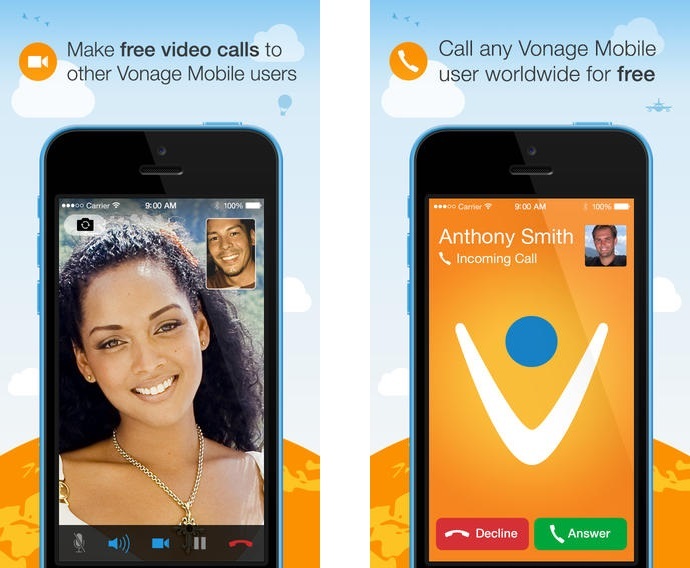 Like Fring, Vonage made its name as a low-cost international calling service, but it also offers iOS and Android apps that allow free voice and video calls between users. The apps — which also offer video messages — use a FaceTime-style system for video calling. Chat app Line introduced video calling between its 300 million registered users in September. The quality is generally quite good, and comparable to FaceTime or Skype. 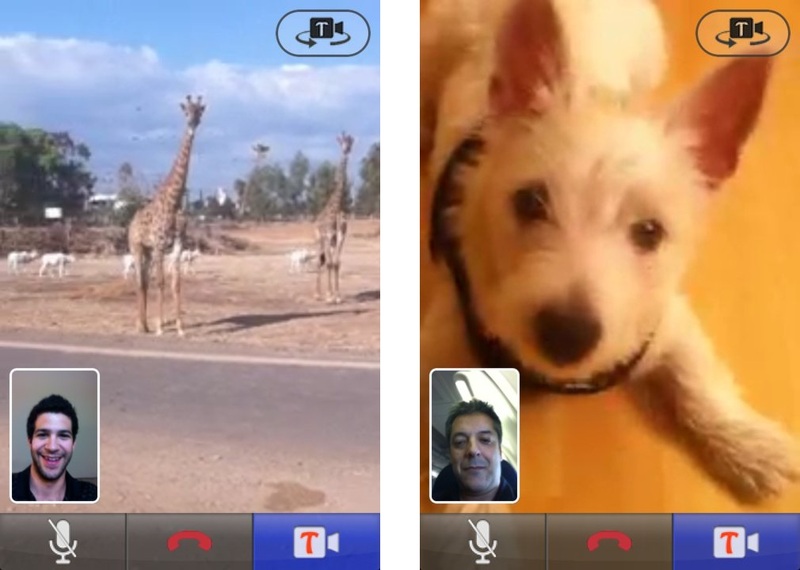 Tango made its name as a video calling app for iOS. Now also available for Android, desktop and other platforms, it includes gaming, free text messages and more. 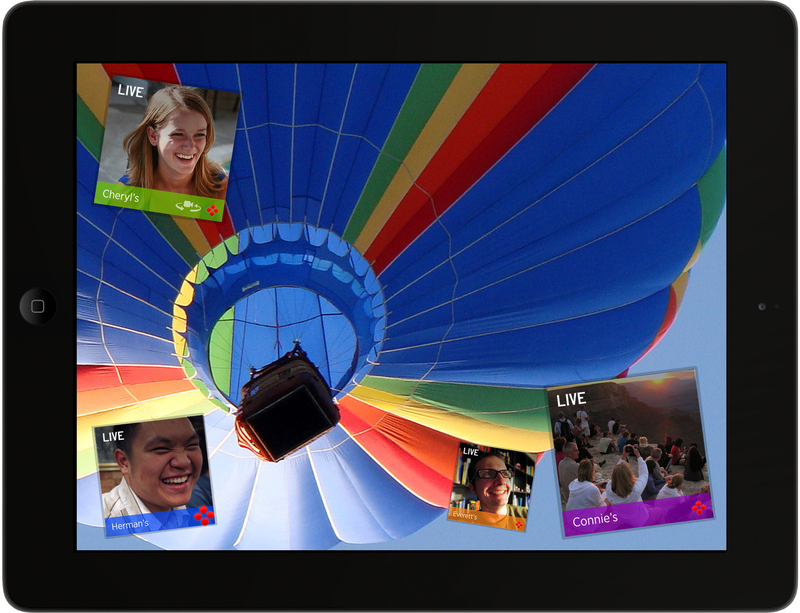 Video calls on Tango can be made interactive using games, music, photo sharing and more, though it only supports two participants for video calling. WeChat is a popular messaging app used by over 270 million people per month, most of whom are in China. Like Line, it offers free text chatting, photo sharing and more, but has included video calling between users for some time. Video playback is generally high quality but, from personal experience, audio playback is notably quieter than Skype or FaceTime. But you can switch the main image around to make your image the larger one, which is useful for keeping the attention of young children if they use the app. What do you think? Do you have a favorite app from our list, or perhaps use one that we didn’t mention?